Some people are too good for hand-me-downs. Not me. 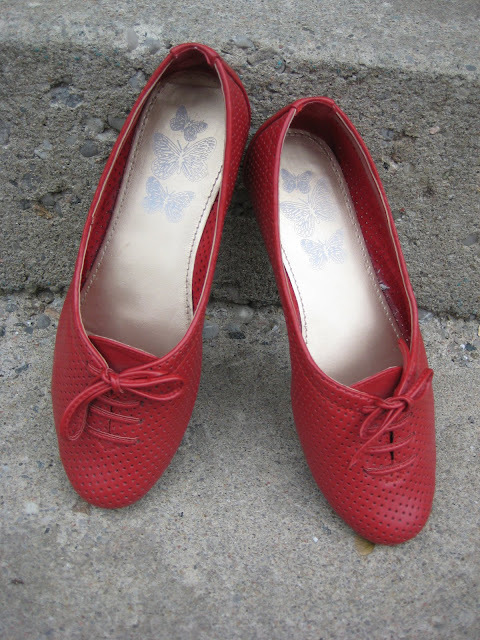 My mom picked up these cute red flats, that have an oxford sort of thing going on, last year when she was in Amsterdam. I drooled when she brought them home. Today she asked if I wanted them, and so I snapped them up. Looking forward to clicking my ruby heels together soon.